The service our foster homes provide is invaluable to the well being of the rescued dogs. Our chapters can not handle the number of Eskies in need alone. Without your help, Heart Bandits would be unable to continue to rescue dogs and find loving homes for them on such a grand scale. 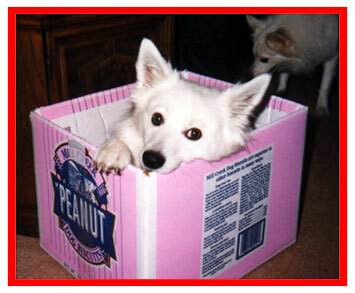 One of the saddest things our chapters have to do is say no to rescuing an Eskie for lack of space. 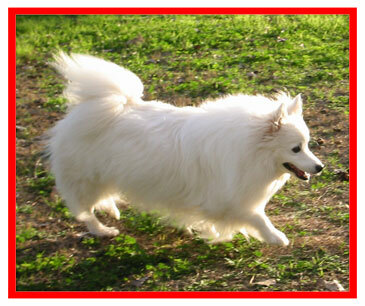 By taking in an Eskie for Heart Bandits you have essentially saved its life. Becoming a foster home is no small task. It takes special dedication, love, and understanding. There is more to becoming a good foster parent than just grooming and feeding a dog. You should have a crate, proper equipment and tools to bathe and groom a dog. Have a feeding dish and a place for your new charge to sleep, preferably in your bedroom. As a Foster Home you will be expected to teach your foster manners and to acquaint them with living inside. In addition, you need to determine if the dog can be left alone in the house without exhibiting destructive behavior. Please provide adequate opportunities for the dog to determine how he/she reacts in different situations. Some rescue dogs have not come from loving homes. They are frightened, possibly not housebroken and may have other problems. These dogs need time to repair the psychological damage done by their earlier circumstances. 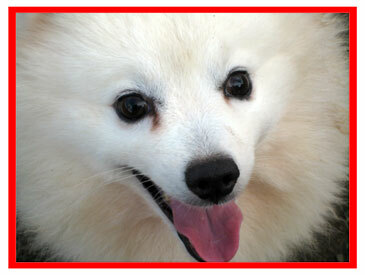 As with our adoptions Heart Bandits works to match the rescued Eskie with the appropriate Foster Parents. Not all Foster Homes are able to handle the more difficult cases. While we are emphasizing the responsibilities of foster care, we want to remind you that being a foster parent for a rescued and then adopted American Eskimo Dog is about as satisfying as anything you can do. You are never alone. The Heart Bandits Chapter that has arranged the fostering in your home will be your primary contact. All financial and care arrangements will be worked out every step of the way with the Chapter Director. Although all Foster Homes may not be in a position to cover all the costs of fostering, whatever a Foster Home can manage greatly helps our rescue efforts. Remember being a foster parent means you are responsible for communicating with the Chapter Director about what kind of personality the dog has, and what circumstances you feel may be suitable for him or her. Everyone in Heart Bandits wants each adoption to be successful, but some aren't. It is through your input that a Chapter Director will more likely be able to arrange a successful adoption. the first step is to fill out a Foster Home Application. The application will give us a better idea about the type of home you will be able to provide while the Eskie is in your care. You will be contacted by the Chapter Director nearest you. Once approved, you can look forward to the gratification of seeing a rescued American Eskimo Dog beginning a new life in your loving home. Request an application be E-mailed or mailed to you. Include your name, E-mail or postal address, & the application(s) you wish to receive.